CivilDigital brings you series of frequently asked and discussed multiple choice and interview questions for the benefit of every civil engineering student or job seeker for Interview & Exam Preparation. This part concentrates on Interview Questions from Foundation Engineering concepts in civil engineering. 2. In spread footing foundations, geotechnical strength is expressed as the _________ of the soil. 3. 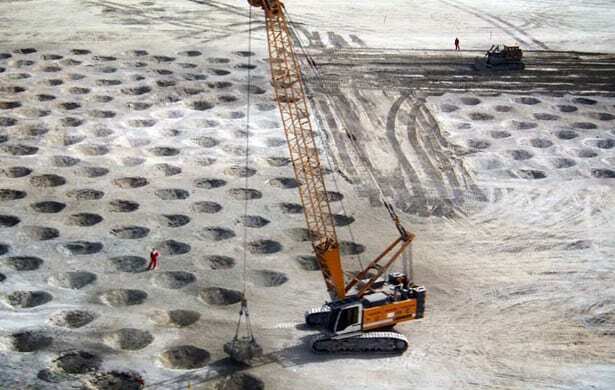 _________ are employed usually where, because of soil conditions, economic or constructional considerations, it is desirable to transmit loads to strata beyond the practicable reach of spread foundations. Remove the bad ground and replace by good fill. Improve the ground condition by surcharging it, later removing the excess surcharge material. Improve the ground condition by vibration technique or dynamic compaction. Pile through the fill to firm soil. Use stiff rafts or the combination of raft and piles. 5. Which of the following cannot be classified as a Deep foundation System?